Livestock owners in Missouri can get free water from several state-owned sites due to current drought conditions. They’ll be allowed to access water from 28 state conservation areas and five state parks, located primarily in the northern half of Missouri. And a lottery will be conducted in which those selected will be allowed to harvest hay on nearly 900 acres of state park land. Parson admitted it’s not a cure-all for everyone’s problems. Ninety-eight percent of the state is experiencing drought, with the most extreme conditions in northwestern and north central Missouri. 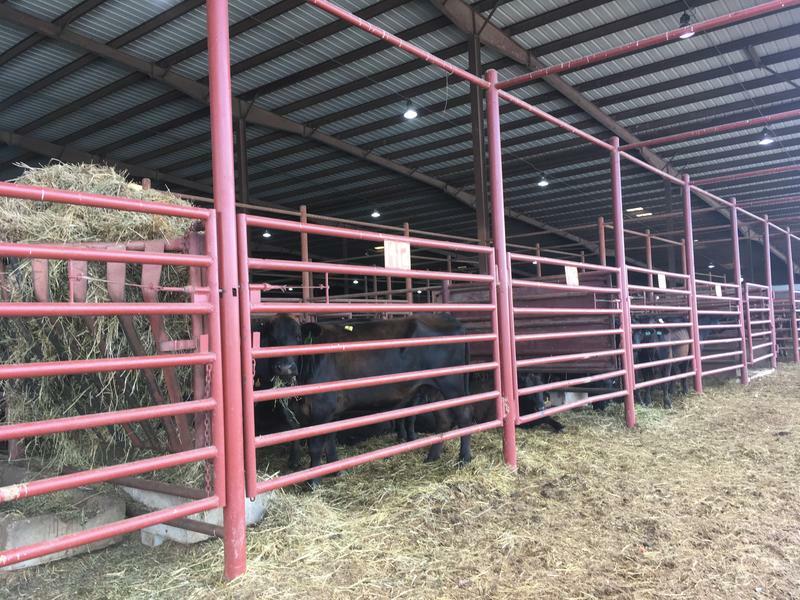 Livestock owners needing water will be allowed to pump up to 5,000 gallons a day for their family-owned farms, and they have to bring their own equipment. It’s limited to Missouri residents only, and re-selling of the water is prohibited. 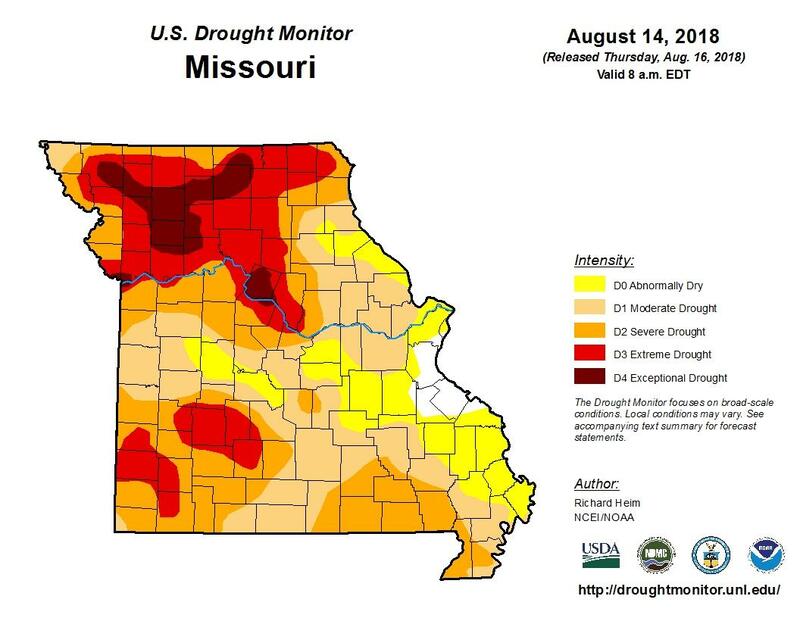 Drought conditions in Missouri, as of Aug. 14, 2018. The Department of Natural Resources is conducting the hay lottery; entries are being accepted through Saturday. The winners will be announced on Aug. 27. Sean Cornelius heads the Missouri Dairy Industry Alliance and owns a dairy farm near Hamilton, in Caldwell County, north of Kansas City. The farm is within the hardest-hit drought zone. 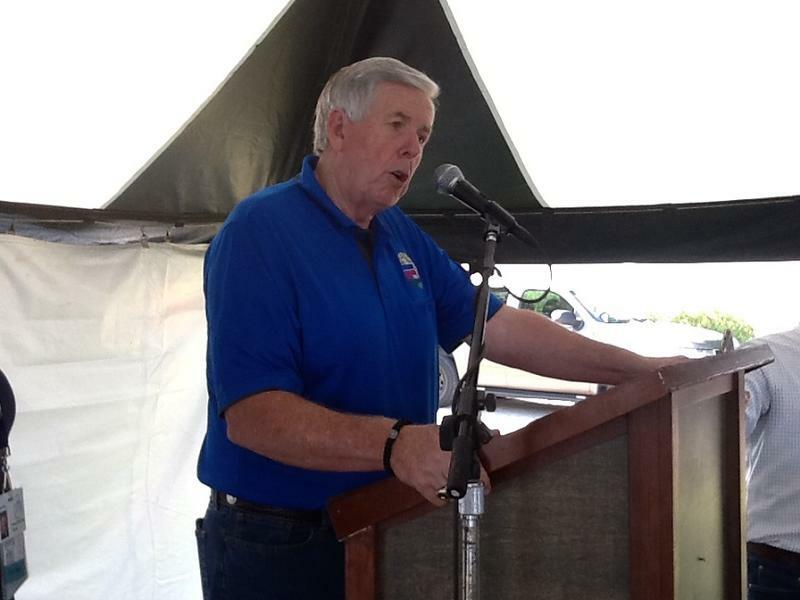 Monday’s actions follow last month’s executive order from Parson placing 47 counties in Missouri under a drought alert and activating the state’s drought assessment committee, which includes the departments of agriculture, conservation, and natural resources. 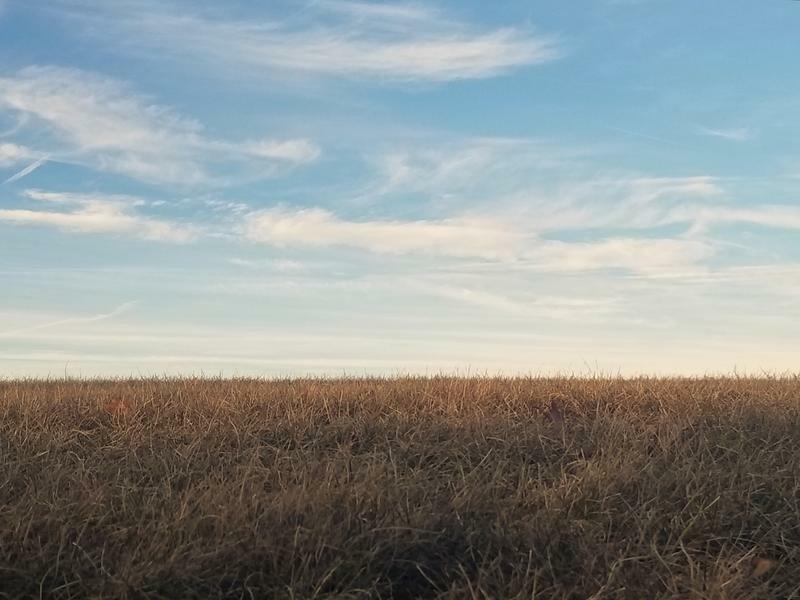 A website, dnr.mo.gov/droughtresources, has been set up provide information on which state parks and conservation areas are providing water, and to sign up for the hay lottery.